Red SL-C35AS The SL-C35 is the companion to the SL-C30. 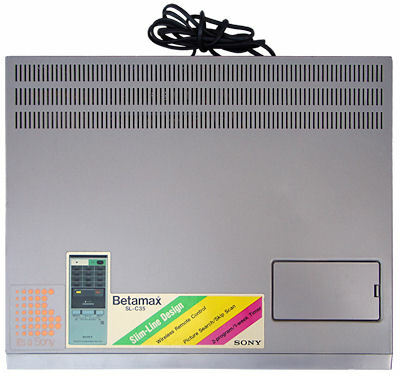 It is a stylish slim looking basic Betamax model which had remote control. 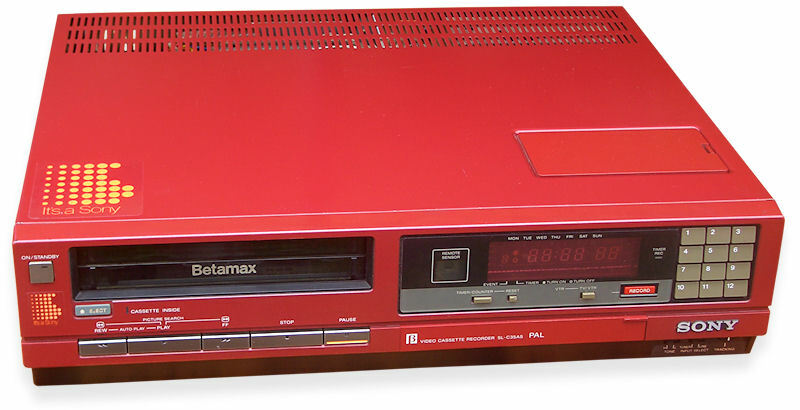 It was normally sold in the silver colour shown but was also available in red. It was sold to the Australian market with the suffix "AS" in the colour silver and was also supplied to South Africa with the suffix "SA". The Australian version of the SL-C35 (the SL-C35AS shown here) differed from the SL-C30 in that the TV O/P was on channel 0 or 1. 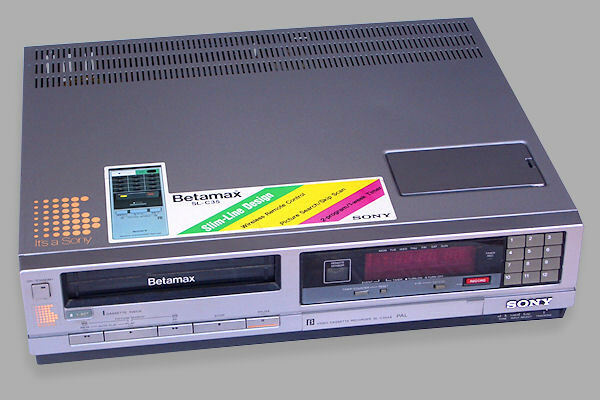 The VCR automatically switches to the VCR output mode when a tape is played. Channel 0 and 5A were additions in Australia to the general VHF channel arrangements which necessitated a slightly increased design tuning range for bands V1 and V2. This model also had a TV/video switch above the flip out program panel. These machines incorporated many features of the mechanism used in the earlier SL-C9 albeit stripped down presumably to save on manufacturing cost. Today these machines are beginning to show their age, however they are well worth maintaining as spare parts are still obtainable. 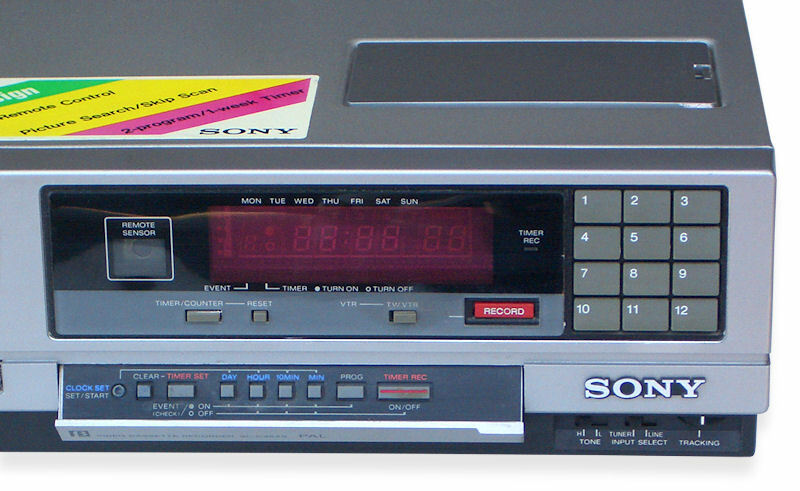 Other models which were basically the same machine, such as the SL-C40 which featured linear stereo sound were released but in such small numbers it is hard to find one these days.